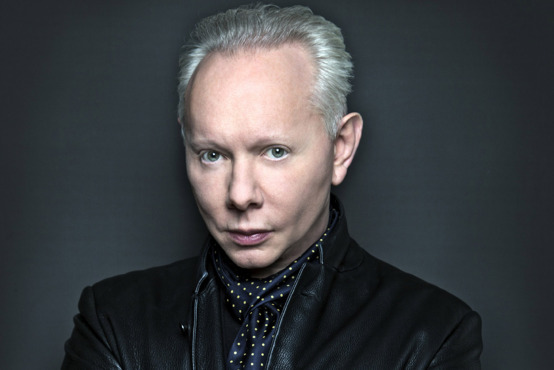 New Wave mastermind Joe Jackson will perform two intimate, sold-out shows at Thalia Hall in February. Following the 2015 release of the critically acclaimed Fast Forward, legendary songwriter Joe Jackson has announced the release of his new studio album Fool. The record, which is the 20th studio album of Jackson’s career, was the fulfilment of a career-long dream: to finish a tour and head straight into the studio with the band firing on all cylinders. So, on July 29th , Joe wrapped up his 2018 summer tour at The Eqyptian Theater in Boise, Idaho – and the following day set up shop at Tonic Room Studios in town. When asked to reflect on the recording Jackson had this to offer: “When it looked like I'd be recording in late July and mixing around my birthday, in August, it struck me that the only other occasion that had happened was while making my first album. It still took a while for it to sink in: this would be 40 years on… The road to this album is littered with the wrecks of songs and half-songs that didn't make the grade. There are eight survivors, which I think is enough. How significant the resurgence of vinyl is, I'm not sure, but I did think of this as an album, with two complementary sides of about 20 minutes each… I never have an overall theme in mind when I start trying to write songs for an album, but sometimes one will develop. In this case it's Comedy and Tragedy, and the way they're intertwined in all our lives. The songs are about fear and anger and alienation and loss, but also about the things that still make life worth living: friendship, laughter, and music, or art, itself. I couldn't have done this in 1979. I just hadn't lived enough.” The album was co-produced by Jackson and producer Pat Dillett (David Byrne, Sufjan Stevens, Glen Hansard, etc.) The band in question was the same group that Jackson has played live with ever since the release of Fast Forward: Teddy Kumpel on guitar, Doug Yowell on drums, and long- time collaborator Graham Maby on bass (Maby was on that first recording session 40 years ago as well). The Fast Forward Tour took on a life of its own and enjoyed several encores over the last 3 years – with the band ultimately playing 103 shows together during that time span. Watch Jackson perform his classic "You Can't Get What You Want" live.